The gazebos are normally delivered via a curb side palette drop by a crane off-load vehicle, however delivery and installation may not be on the same day. You will be contacted prior delivery, with the installation potentially being made on a separate date. 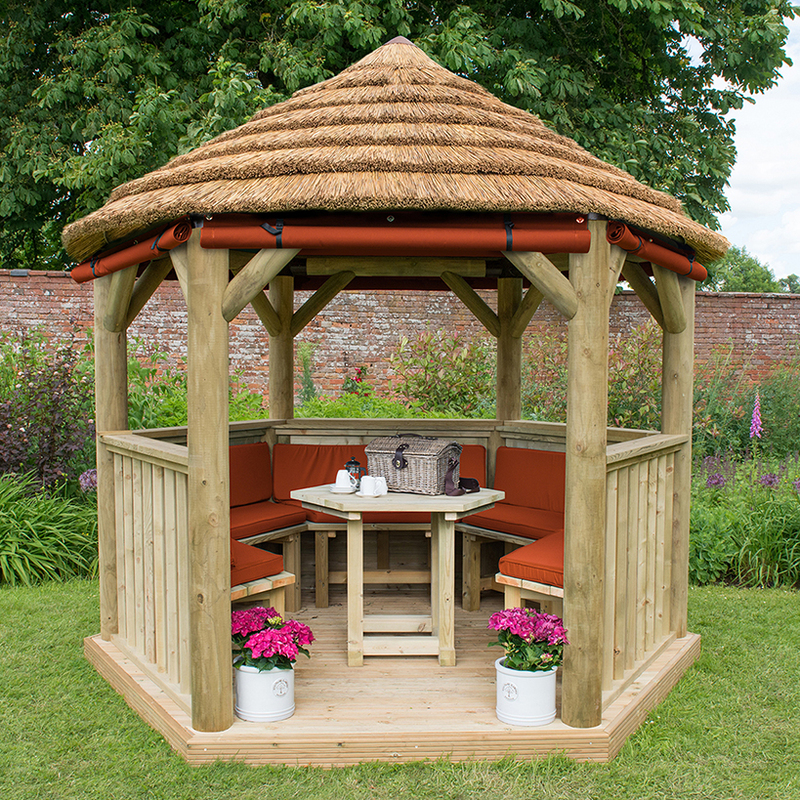 Gazebos can only be installed on a pre-prepared level base with no slopes. The base area must be concrete, tarmac, wooden decking or paving slabs and cannot be installed on grass, soil, loose gravel or any unstable material surfaces. 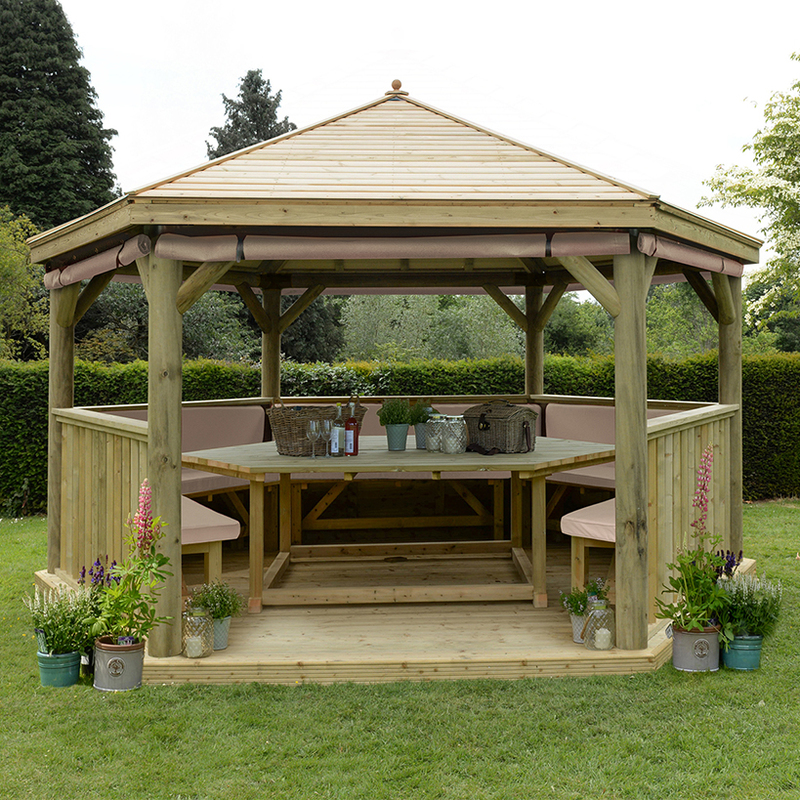 The base can be any shape as long as it’s large enough to fit the footprint of the gazebo. 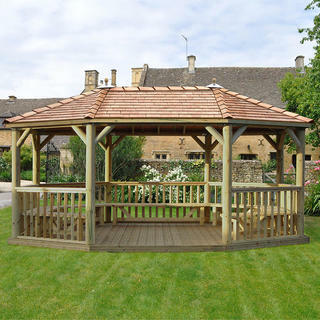 The gazebos are classed as non-permeant structures that are “free standing” and require no foundations. These types of buildings don’t usually require planning permission if installed at least 2m away from boundary fences, and don’t exceed a heigh of 4m. If you are in any doubt, please contact your local authority as it is your responsibility to gain planning permission if needed. All of the gazebos come with installation included, and we have a team of expert fitters ready and waiting! An installation may not be on the same day as delivery, and can take up to 3 days depending on the size of structure and roof type. However, most are usually installed within a day. 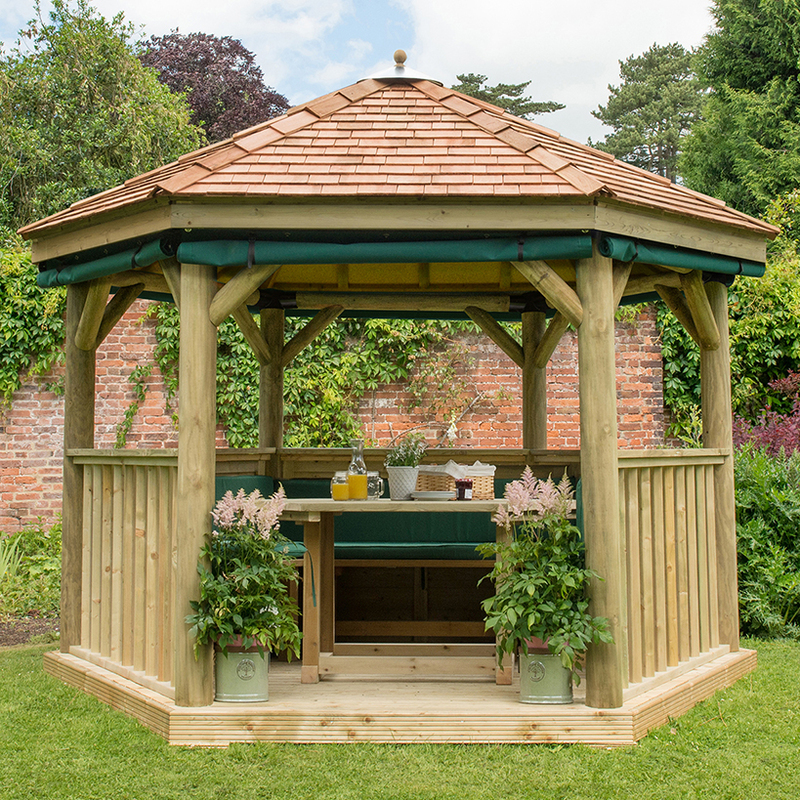 If you require any further advice about the preparation for your gazebo, or any other questions regarding garden structures, please don’t hesitate to get in touch.